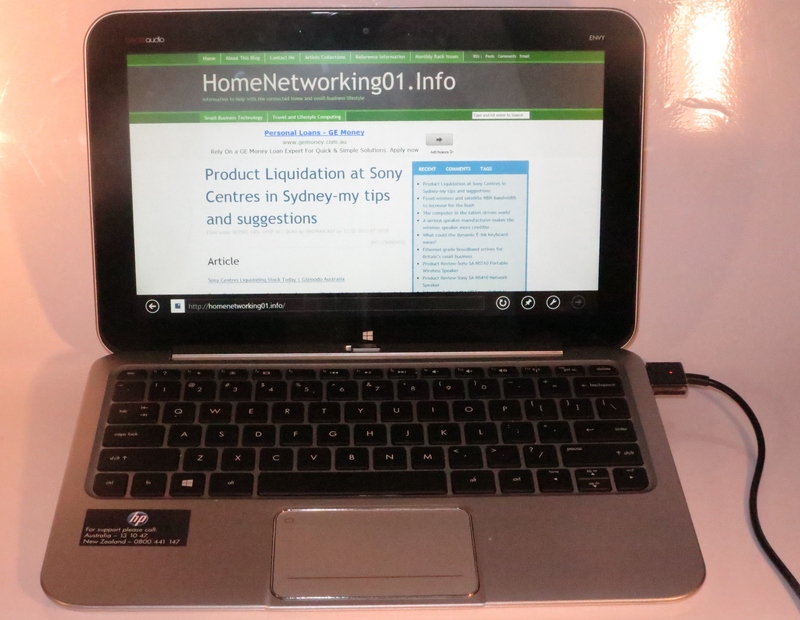 This is the first chance for me to review a touch-enabled Windows 8 computer in the form of the HP Envy X2. This computer comes in the form of a detachable-keyboard “hybrid” tablet which exploits the Windows 8 abilities. Last month, I had set up my primary desktop computer with Windows 8 and established the Microsoft.com single-sign-on arrangement so I can exploit this operating environment in a manner as it is to be exploited on these computers. This experience has shown that it is easy to have a common operating experience across a primary computer and a secondary computer such as the HP Envy X2 thus reducing the need to reconfigure both units exactly. This Windows-8 computer comes in the “hybrid tablet” form factor which has the “system” integrated in the screen and has a detachable keyboard. This would remind you of the ASUS Eee Pad Transformer Prime Android-driven tablet which put this concept on the map. The HP Envy X2 is finished in a brushed-aluminium finish with metallic-black keys on the keyboard and a black bezel that surrounds the touchscreen. Here, I have not noticed any overheating or other temperature issues when I have used this computer even with viewing video content. I have also noticed that this computer is built very well and even things like the mechanism to detach and attach the screen had that solid but easy-to-use feel about it. 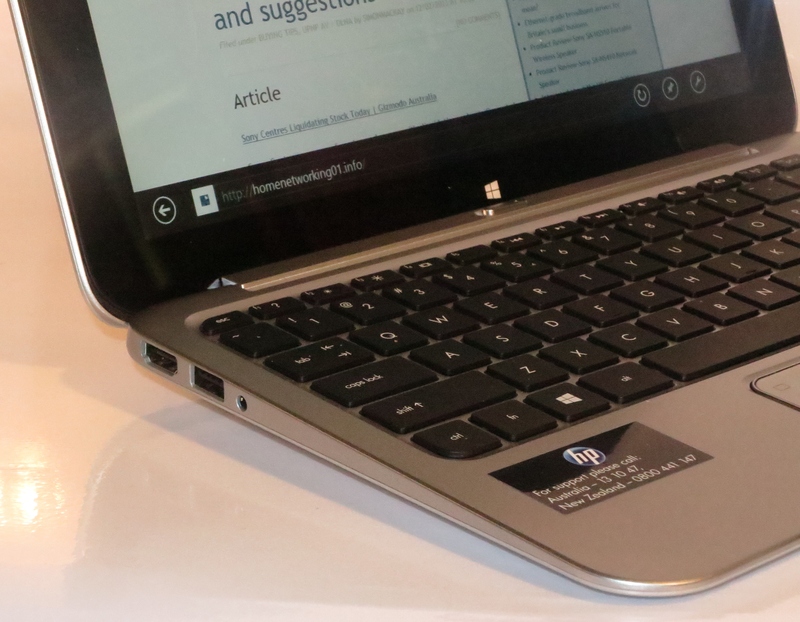 Like most netbooks and small notebooks, the HP Envy X2 is equipped with the shallow chiclet keyboard but the way the Envy’s keys are spaced apart makes it supportive for an improved typing experience. I also admire the idea of having the keys finished in black rather than the same silver colour so they are easier to identify. The trackpad can become a bit “hair-trigger” at times but it still uses the hold-down square in the top left to enable and disable it. This is a common foible with recent HP laptops and I would like to see a separate switch with indicator used for this function because if you dwell on the square to drag an item, you could accidentally defeat the trackpad. 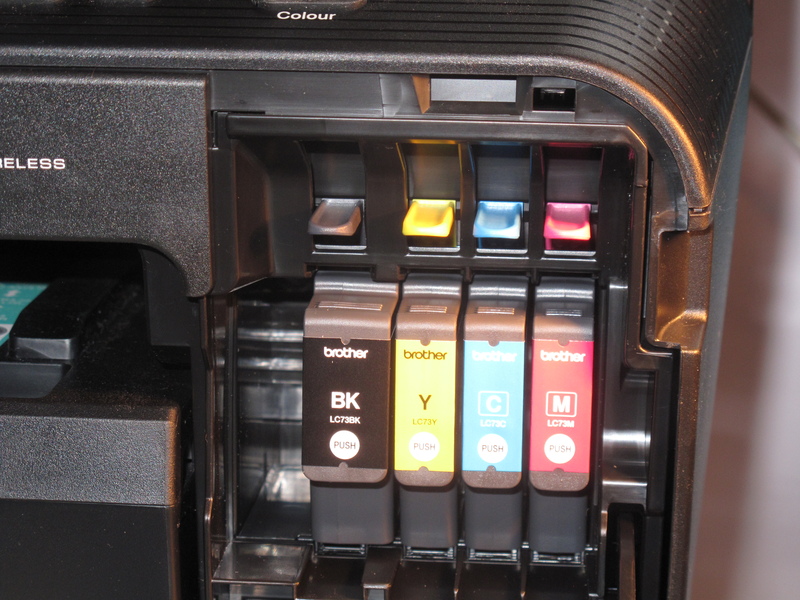 The touchscreen is very responsive and accurate with there being very few issues with hair-trigger behaivour. This is more important if you are using the computer in the tablet mode The screen and keyboard are easy to detach from each other with you just having to move a latch above the keyboard to release the screen. When you want to reassemble the computer, it is as simple as dropping the tablet in to the groove atop the keyboard dock. The HP Envy X2 yielded a smooth visual experience for the display, even with the video playback which I did with the SBS On Demand service. Of course there is the glossy display that is common with consumer-market portable computing equipment and can be a problem in bright sunlight. HP still does their best effort with improving the audio experience but even the Beats Audio sound tuning doesn’t make a silk purse out of a sow’s ear. The only bonus with this detachable-keyboard tablet layout is that the speakers “fire forward” from the screen when the keyboard is attached to the screen. Instead, I would use headphones or external speakers if you want the best out of your music or video content. 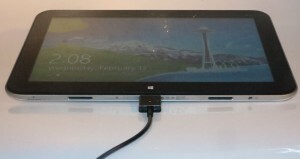 There are two USB 2.0 connections and an HDMI connection on the HP Envy X2’s keyboard dock but the tablet itself could benefit from at least one USB connection. The power is supplied through a special plug which can connect in to a slot on the right-had-side of the keyboard or the docking slot on the tablet itself, and can be confusing for new users when they want to charge the tablet itself without carrying the keyboard dock with them. There is 2Gb RAM and 64Gb as solid-state secondary storage but it could benefit from more capacity but this is limited by the design constraints brought about by the tablet design. You can add on a microSD memory card to the tablet itself or use a regular SD “camera card” with the keyboard dock for storage expansion. This can be limiting if you just want to show pictures from your camera on the Envy’s screen without the need for a keyboard dock. There is the typical long-lasting battery that can work well with using the Envy X2 in a portable context but it doesn’t identify whether there is a secondary battery in the keyboard dock to allow the computer to run for a longer time. 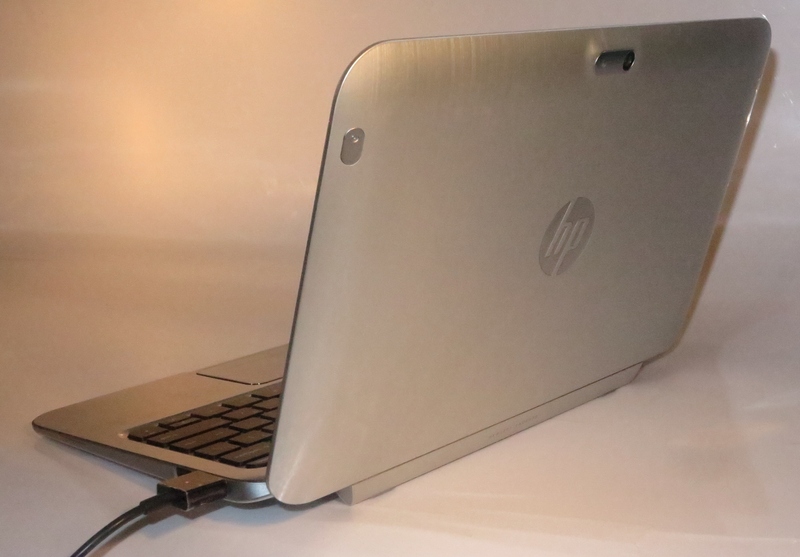 HP could offer a variant of the Envy X2 with a 128 Gb SSD and 4Gb RAM as a higher-performance option rather than the simplified “second-duty” tablet computer that this is pitched as. The Envy X2 could benefit from a regular SD on the tablet rather than the microSD so you can use the digital-camera SD cards when you want to quickly show and use pictures from your digital camera. 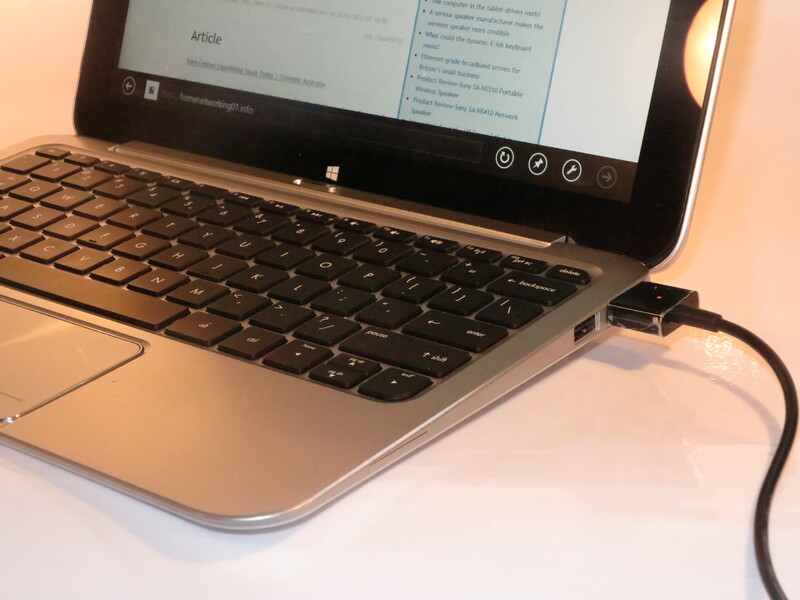 Similarly there could be a microUSB “On The Go” socket or standard USB 2.0 socket on the tablet so you can connect USB memory keys directly or using an “On The Go” cable without the need for the keyboard. The HP Envy x2 is positioned more as a detachable-keyboard hybrid tablet computer that runs a regular-computer operating system using a lightweight “regular-computing” processor. This can be useful for those of you who like a detachable-keyboard tablet computer but would like to run the Windows 8 operating environment that you run on your desktop or large laptop computer. But you may find that the price is too steep unless you place value on a hardy construction and orthodox look and feel for this kind of computer. On the other hand, I would even recommend this to ASUS Transformer Prime users who want a portable computer with a similar form factor yet would like to run the “regular-computer” operating environment.